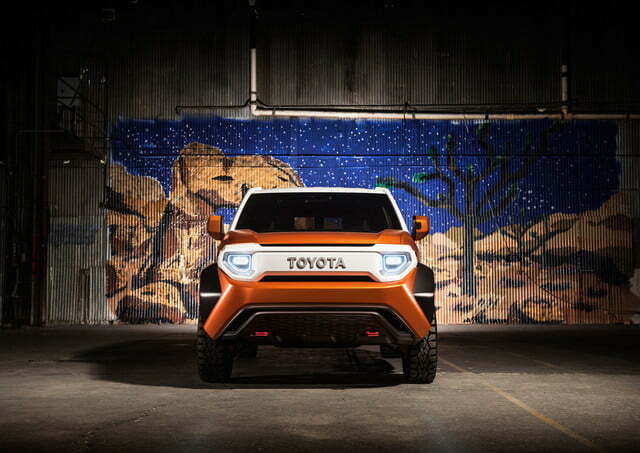 Toyota wants to take a new generation of enthusiasts off the beaten path. 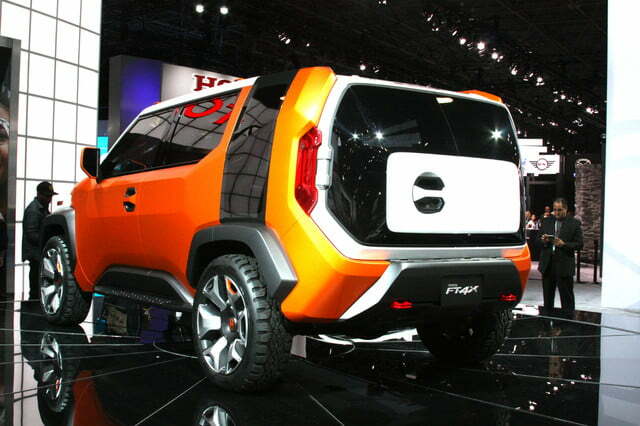 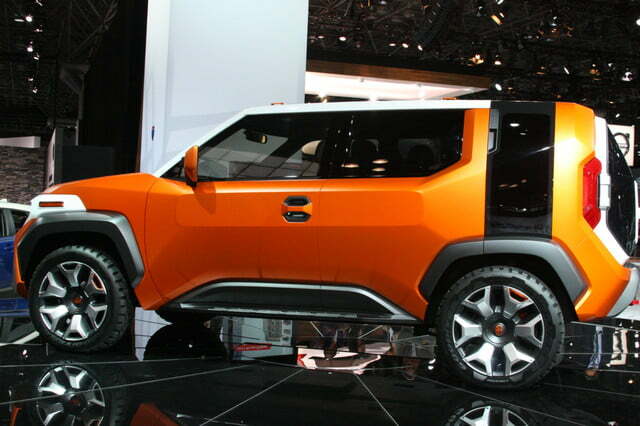 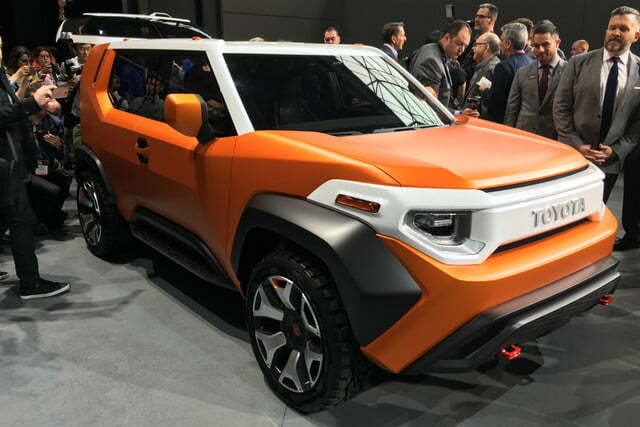 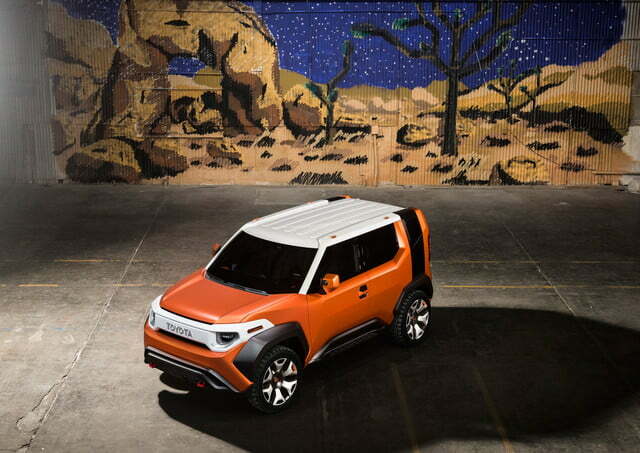 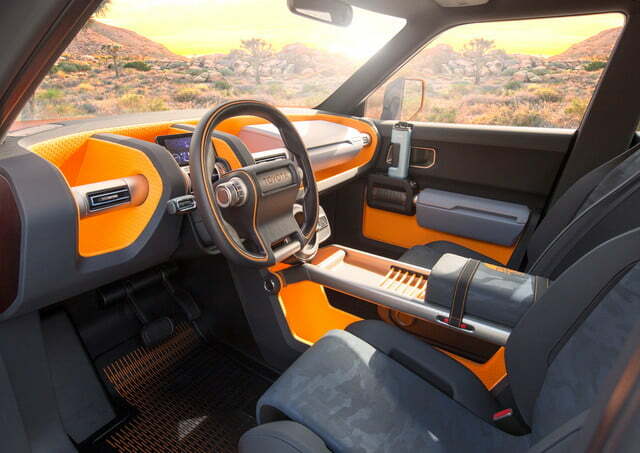 Unveiled at the New York Auto Show, the FT-4X concept hints at what a successor to the FJ Cruiser could look like if it ever sees the light of day. 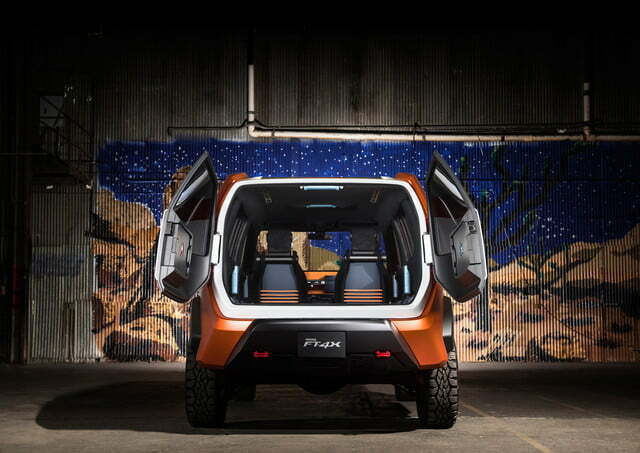 The FT-4X stretches 167 inches long, 71 inches wide, and 63 inches tall, dimensions that make it about as long and as wide as the Jeep Wrangler but a few inches lower. 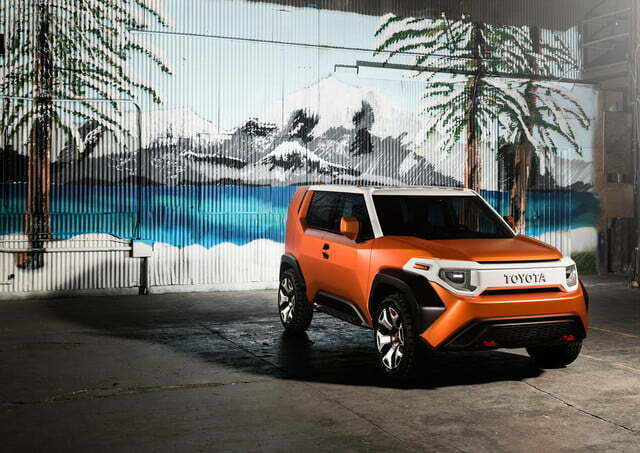 Look closely and you’ll notice the front end is inspired by historic Toyota off-roaders like the LJ-series Land Cruiser, but the design is undeniably more futuristic than retro. 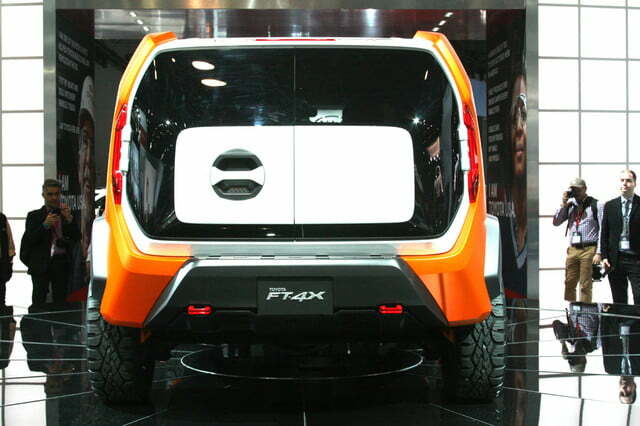 Designers developed a clever tailgate named Multi-Hatch. 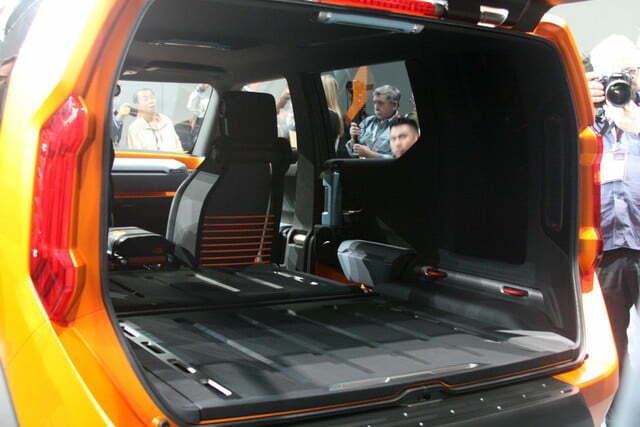 In Urban Mode, the cargo compartment is accessed via a pair of side-hinged barn doors. 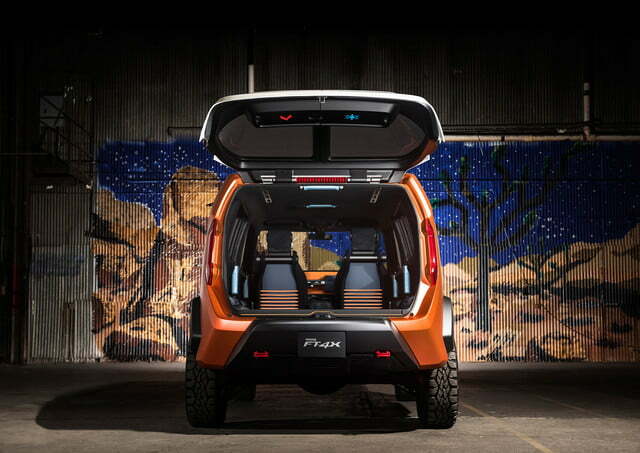 In Outdoor Mode, the barn doors come together to form a large hatch that swings upwards. 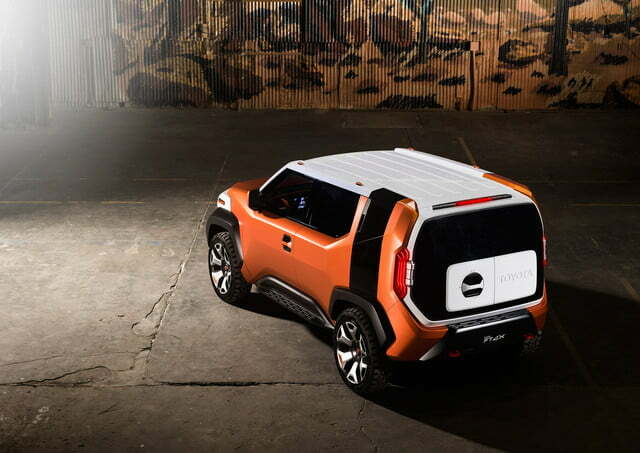 Urban Mode is best suited to areas like parking garages where overhead clearance is limited, while Outdoor Mode keeps the party going even if it starts to rain by providing impromptu shelter. 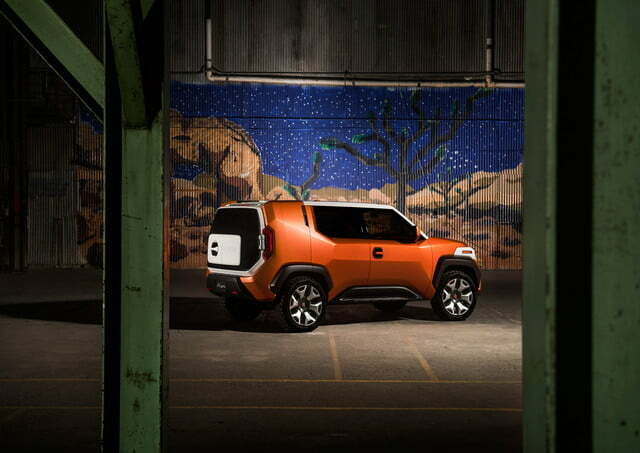 The cabin is ready for adventure so you don’t have to be. 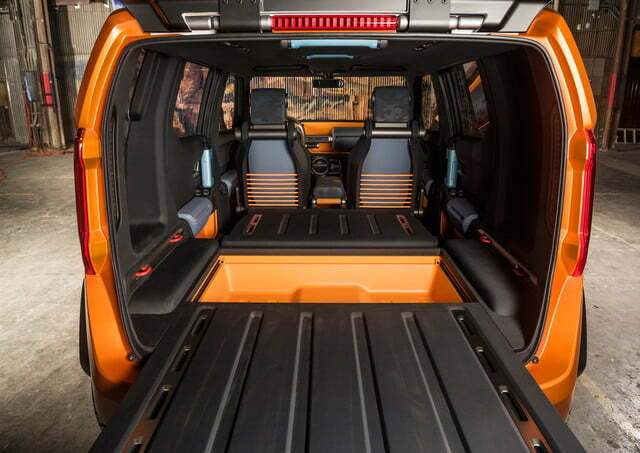 Two boxes — one hot, one cold — integrated into the rear hatch ensure gloves stay warm, and water bottles stay cool. 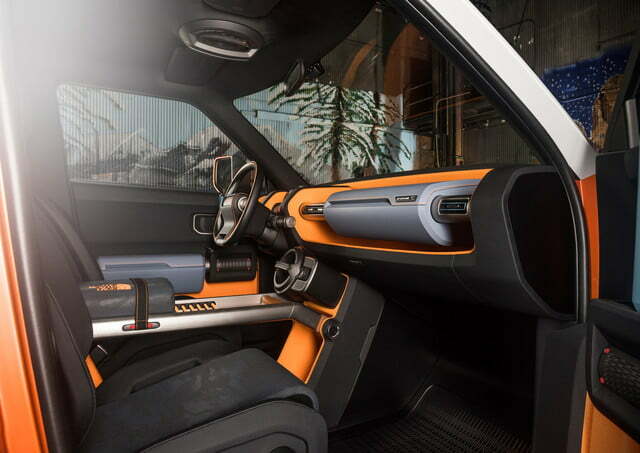 An ultra-compact The North Face sleeping bag strapped to the center console doubles as an arm rest, a GoPro integrated into the driver-side mirror captures the scenery, and a removable boom box mounted right below the dashboard plays tunes inside or outside. 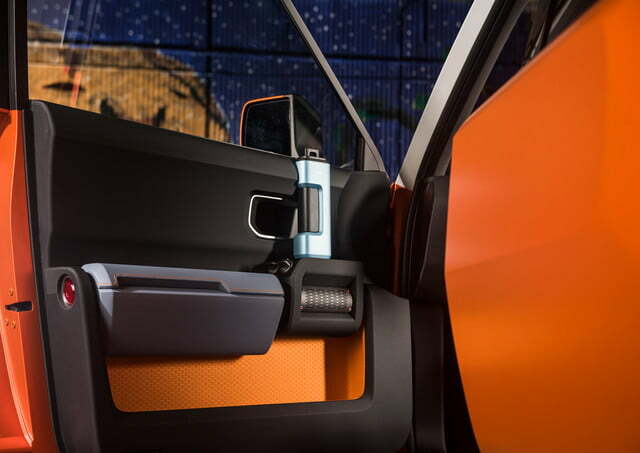 One of the most striking parts of the dash is that it’s not equipped with a touch screen. 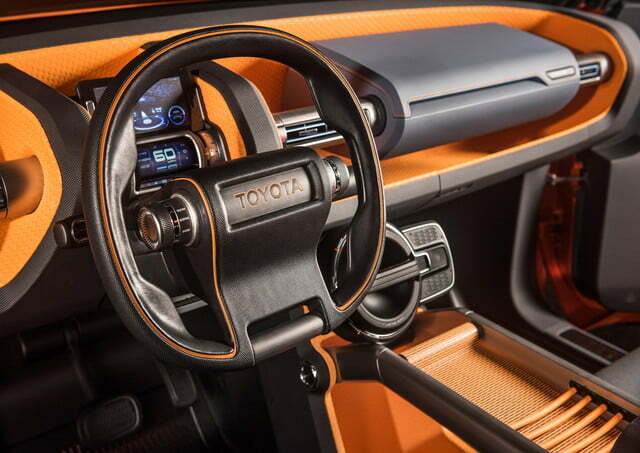 That sounds like a sacrilege in the era of foot-wide, gesture-controlled screens, but Toyota left it out intentionally. 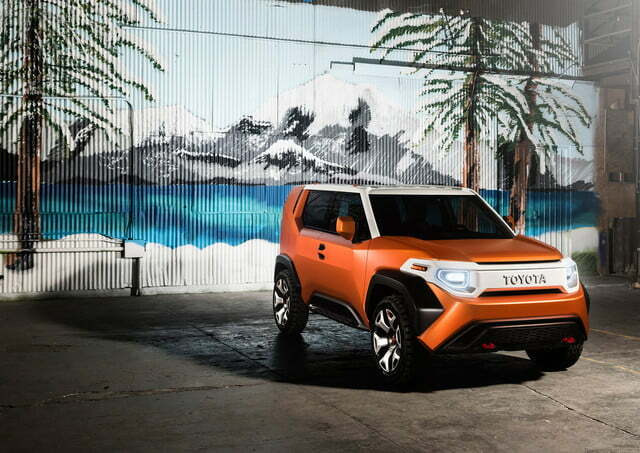 Toyota explains the concept was designed for millennials, a demographic that uses phone-based applications like Google Maps more often than the car’s built-in infotainment system. 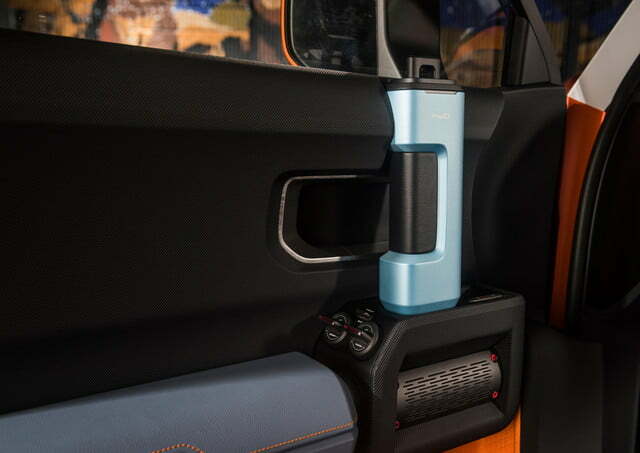 A smartphone mount located right above the instrument cluster ensures no trip to the great outdoors ends with a call to the park ranger’s office for directions. 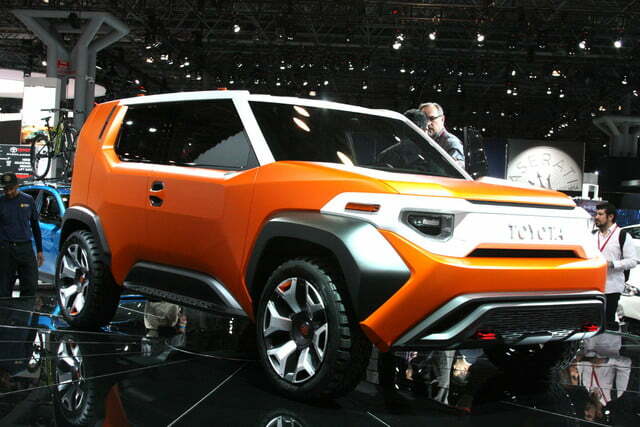 Full technical specifications aren’t available because the FT-4X is still a design study. 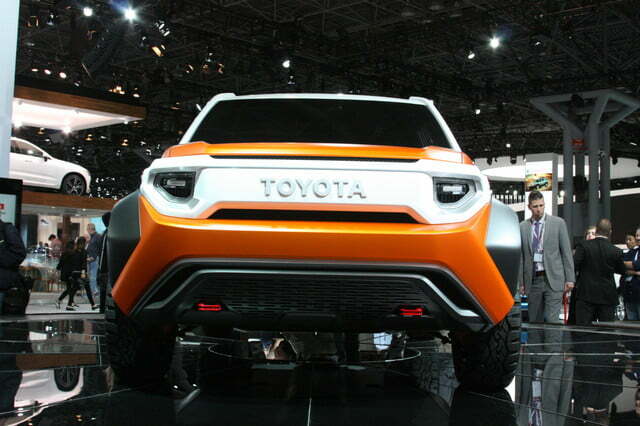 However, Toyota points out the off-roader was envisioned with a small-displacement four-cylinder engine in mind. 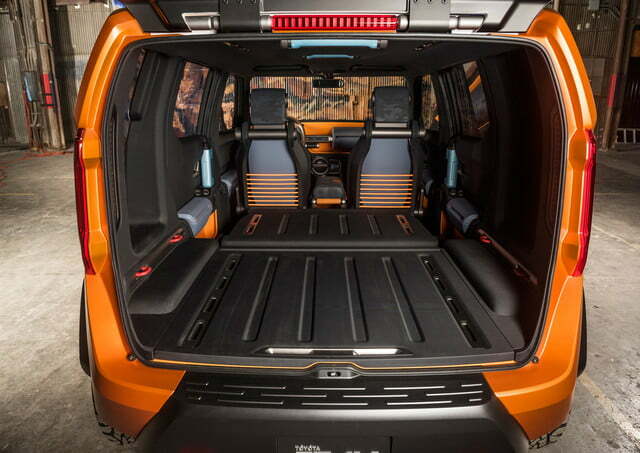 It comes with a rugged mechanical four-wheel drive system, and a low-range gear that helps it soldier on when the going gets tough. 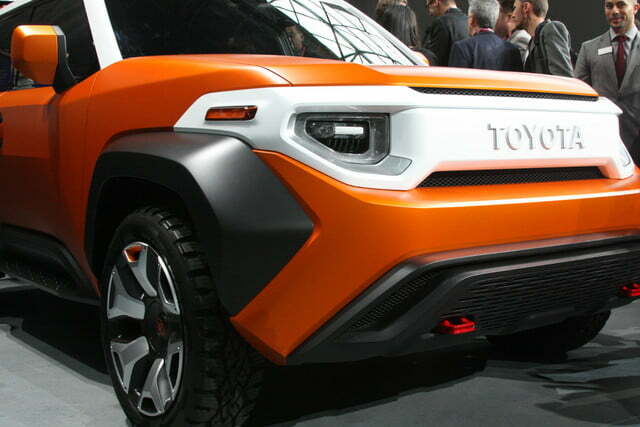 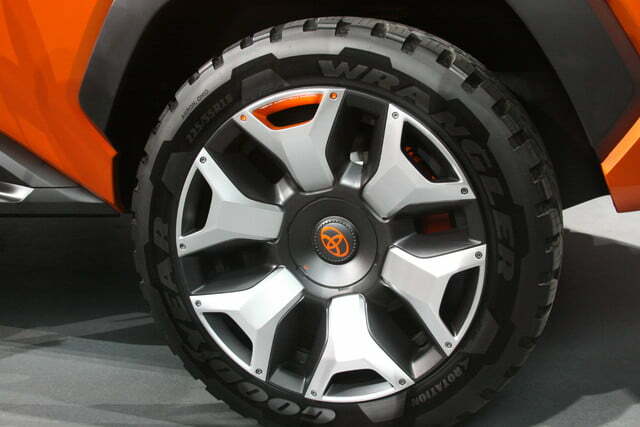 The name FT-4X means “future Toyota-four-wheel drive crossover,” according to the company. 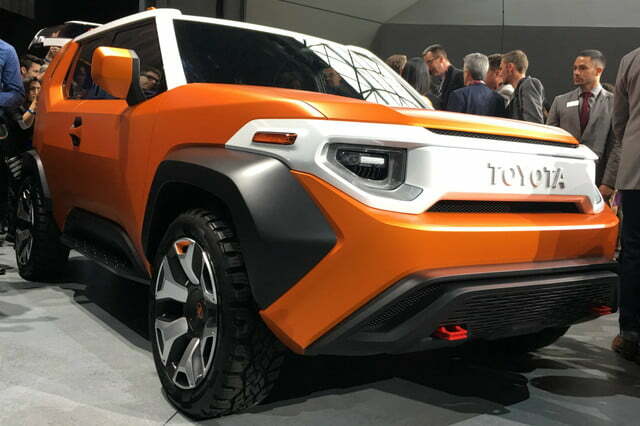 That moniker clearly suggests the concept will spawn a production model in the not-too-distant future, but Toyota hasn’t revealed its plans. 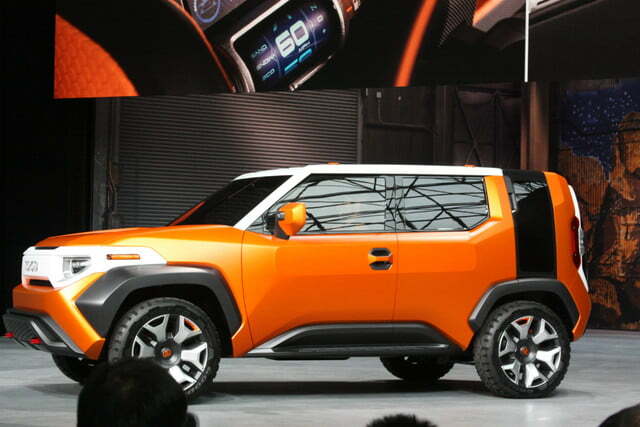 If the FT-4X receives the proverbial green light for production, it most likely won’t arrive until the end of the decade at the very earliest.